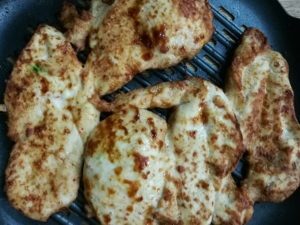 Healthy chicken breast tandoori is another airfryer recipe for my chicken lover friends. This recipe has many good features. 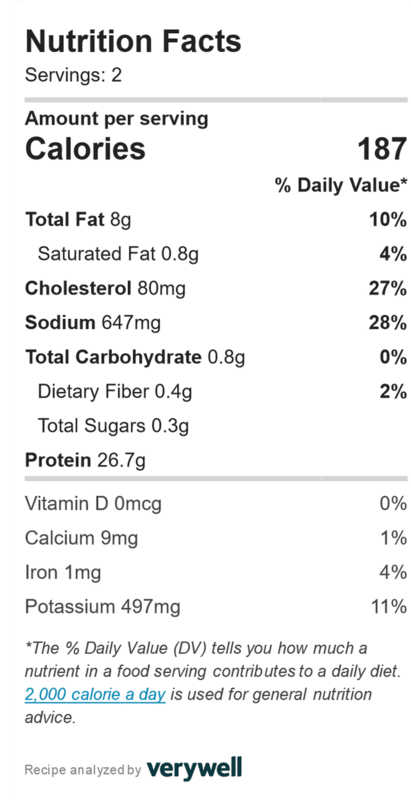 In one side, this is healthy food recipe; i.e. low fat, almost negligible oil content and very low carbohydrate. On the other side, it is very simple, quick and easy. You need only a few ingredients to prepare this recipe. But the most importantly, you need an airfryer for this recipe. This chicken breast tandoori as a perfect meal, you just need to add a healthy salad. So, here I have also added a salad recipe that is very healthy and tasty. You can serve this recipe as a side dish or as a meal. Try this recipe for your family and friends and enjoy your healthy life. If any of your family members or friends are worried about carbohydrate and fat due to diabetes and heart-related diseases, this recipe can be a proper meal for him or her. 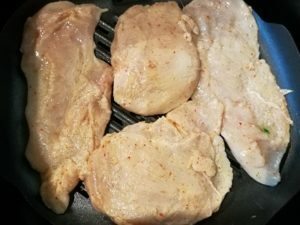 Cut the chicken breast and rinse it very well. 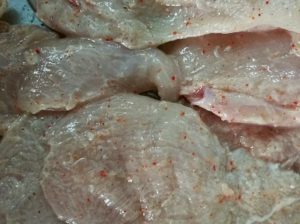 Add lemon juice, salt, paprika, black pepper, and olive oil to the chicken breast pieces. Keep it aside for 20-30 minutes. Place the chicken breast into the airfryer tray. Start the airfryer at 180⁰c for 15 minutes. The advantage of the air fryer is that you just set the temperature and timing and leave for some other job. In case of frying with a frying pan, you would need to stay beside the cooker or burner for the whole duration of cooking. You will hear a beep from the airfryer when you need to come back just after 15 minutes. In the mean time, you can prepare you salad item or relax for 15 minute and your air fryer will take care of the rest. 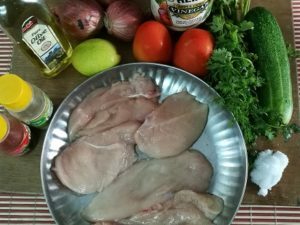 Your healthy chicken breast is ready to serve. Cut the cucumber, tomato, and apple into small dices. Add salt, apple cider vinegar, black pepper powder, and sugar to the vegetable and fruit’s slices. Add cilantro slices to the salad mixture. 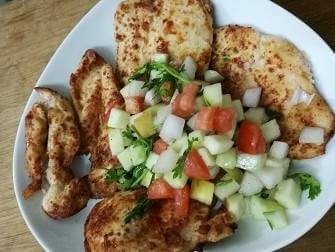 Serve the healthy chicken breast tandoori with the healthy salad. Hope you will enjoy the food.